* Approve, reject, or hold requisitions, invoices, and expense reports. You can also get push notifications when an approval request requires your attention. * View your recently created or approved requisitions and expense reports. 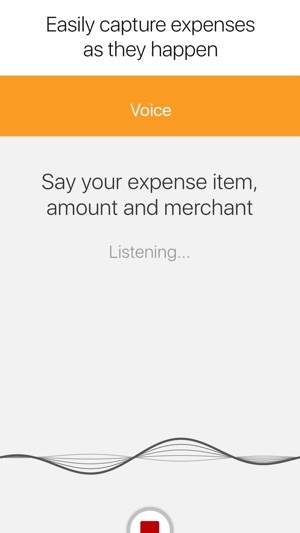 * Create new expense reports on the go. * Capture expenses easily by taking a photo of receipts, using your voice to dictate an expense, or entering expenses manually. 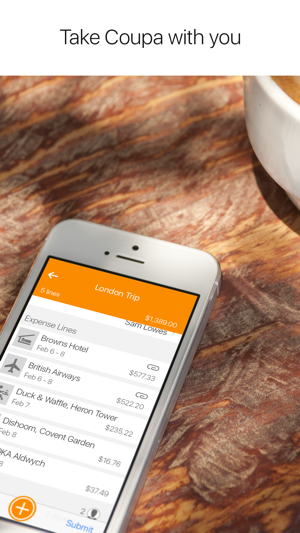 * Track mileage expenses and more with Coupa’s SmarterTrip feature. 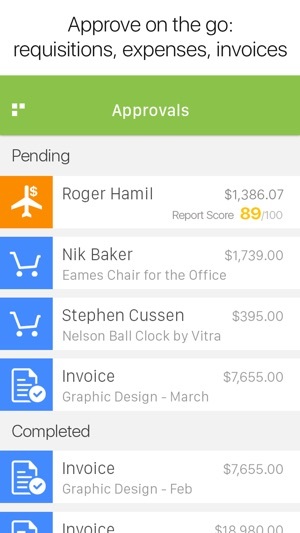 * Create and edit expense reports offline, even when your device is in airplane mode. Save and then submit your updates when you get a connection. * Fixes an issue for iPhone XR & XS Max users who were unable to tab down or hide the keyboard to submit a receipt. * Improves response times for mobile requests. I’ve been a user of Coupa Expenses for a couple years now and I feel compelled to write in because I’ve read a couple of the nasty reviews and I just can’t believe what people have written. I love this app. It’s easy, intuitive, fast and above all I love the fact that I can just talk my expenses into my phone and it transcribes my voice into an expense line item. 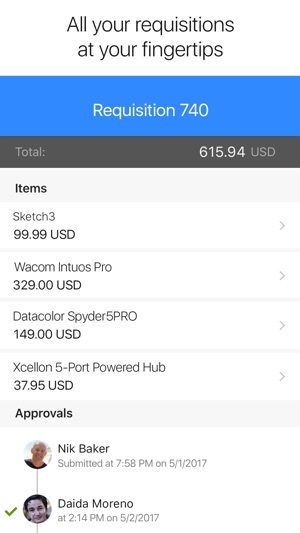 It’s so fast and easy that I even find myself using the phone app even when I’m doing my end of week audit against my credit card bill because it’s just easier to talk or take a picture of a receipt than it is to do it online. And that’s saying a lot because online is super easy too but I love my phone so it’s my preferred mode of doing everything these days. Honestly, if I ever have to go back to the old ways of doing expenses I’ll be super bummed. I work for a large organization where all employees have to use the system. The web based platform is fine. The app is terrible. We all swap tricks to how best get through the pain that is using this garbage program. My recommendation would be to do all you can on your cpu and only use the app if absolutely necessary OR just to attach the pictures. As someone who travels about 75% of the time I find myself having to do my reports late in my hotels on my cpu or a week later at home. 90% of the the time the app takes 5 min to load one page, or even respond to me clicking a text field. Blessedly my company will soon be moving to a new reporting system. If you are considering Coupa, do your employees and yourself a favor and skip the migraine that is this system. ALSO!!! a bunch of the 5 star reviews for this came on the same day (3/14)... Maybe if the programming team spent half the time they took to write fake reviews on fixing the bugs they wouldn’t have to pad their terrible app with bs reviews. 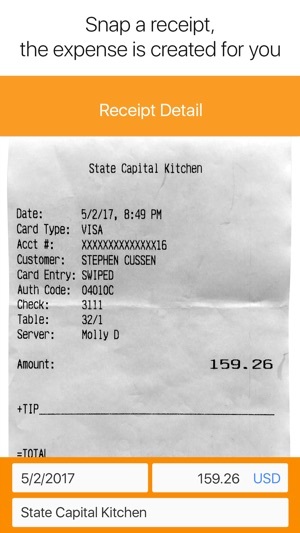 I stumbled upon the Coupa app after being forced to snap pictures of receipts and then email them which doesn’t sound like much but it was a pain. This app is perfect except it doesn’t allow you to change the account number. I work within a hospital organization that has 17 different account numbers for my department so it’s a pain to have to go back in on a computer and change the account numbers one by one especially if you have 20 different meal receipts. Fix this and I’ll leave a five star review.